NAV YUG VIKAS & ANUSANDHAN SANSTHAN (NYVAS) is a non- profitable, non-governmental organization (NGO) which is a development society registered under Rajasthan Society Act 1958, on 4th July 1997, with the registration number 49/Bikaner/1997-1998. NYVAS strongly believes in collaborations and partnership in achieving the vision and mission. Initially, NYVAS started working in single PANCHAYAT of Bikaner district and with pass of time at present it is active in almost 11districts of RAJASTHAN state. A few college friends started to devote some time to social cause with limiting their work to a few PANCHAYAT of BIKANER district initially and year by year inch by inch we progressed to our present situation. 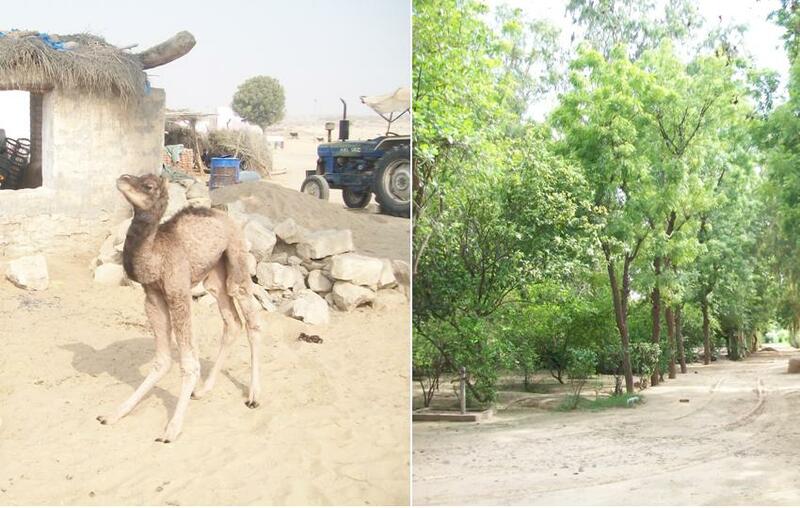 Presently we are a well known not for profit organization famous for working in remotest places of LUNKARANSAR, KHAJUWALA, PUGAL, DUNGARGARH, NOKHA AND KOLYAT area of Bikaner district. Our work area includes the villages having no access of road and rail. 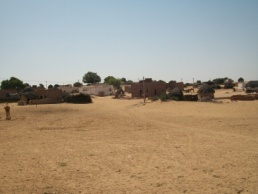 Even today many villages have typical nomadic culture living in highly deprived conditions. During course of time organization has developed repo and prestige among people and government agencies as we firmly believes in working with the government to bring about large scale change and therefore our work with a aim to supplement rather than replacing governmental initiatives and interventions. Maudling the future of child labors by bringing them back to the schools under social education sector and empowering women by enhancing their capabilities. Doing hi-tech planning for improving the rural infra structure as well as urban areas of Rajasthan. Modernizing the Agriculture and animal husbandry via various kinds of trainings, farm schools, seminars, farmer- scientist interactions, KISAN GOSTHI and demonstrations. 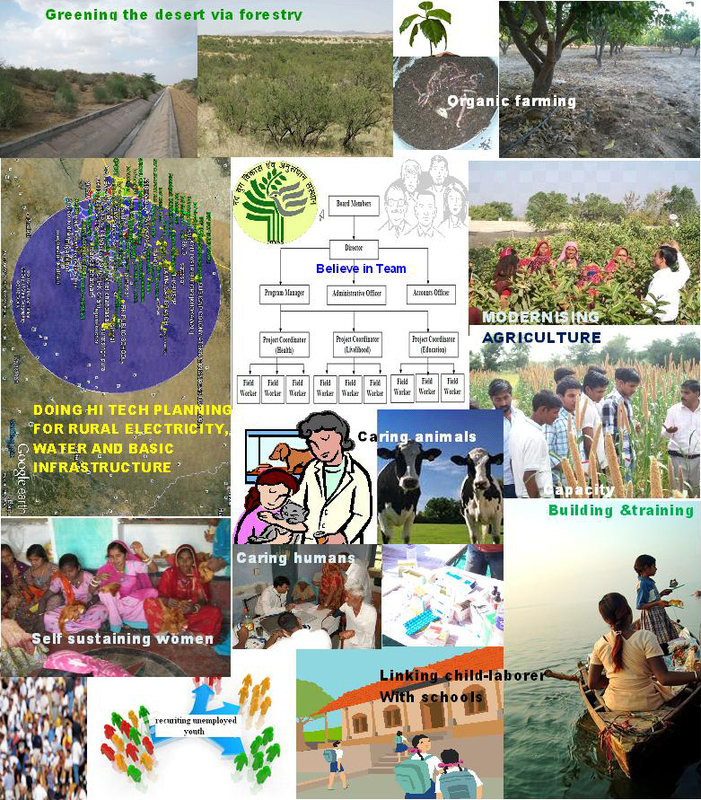 Mobilizing farmers to adopt climate change adaptation and helping the community to adopt alternate energy resources. "Some say that this is lack of focused approach; we believe this is the demand of our work area." The major segment of NYVAS support has been small, locally evolved organizations in small town that set up by people with a keen interest in addressing developmental issues of our nation. Our team comprises of agriculturist, development professionals, engineers, teachers and trainers, activists, PhDs, MBAs, CAs, professionals consultants, working together in very friendly, cooperative and encouraging environment with a passion to bring a long-lasting change in society.